The healing properties of the Dead Sea are known toancient times. The ancient Jews and Romans built on the shores of the Dead Sea balneary. One of the main resources of this unique body of water is extracted from the date of the Dead Sea mud. The healing properties of the Dead Sea are known toancient times. The ancient Jews and Romans built on the shores of the Dead Sea balneary. One of the main resources of this unique body of water is extracted from the date of the Dead Sea mud. The unique climatic conditions of the Dead Sea led to the formation in the thickness of the Earth's special kind of mineral mud. Therapeutic mud from the Dead Sea belongs to the groupchloro-magnesium-calcium sulphide sludge. The composition of the Dead Sea mud includes minerals such as feldspar, quartz, mica, kaolin, bentonite, and magnesium, potassium, calcium, bromine, copper, zinc, iron, lithium, cobalt, iodine, manganese, etc. Dead Sea black mud highly mineralized yalyaetsya - in 1 liter of mud contains 300 g active ingredients. For comparison - the salinity of the lake mud Tambukansky Caucasian Mineral Waters - 60 g / l, Anapa silt sulfide mud - 31.5 g / l. Therapeutic Dead Sea mud, the only one in the world has such a unique structure, thanks to which the most powerful healing effect is achieved. Mineral mud from the Dead Sea in a warmapplications and mud wraps - an effective tool for the treatment of joints. Mud facilitate rheumatism, muscle and joint pain, as contained in the mud minerals to penetrate into the tissue and the blood and reduce inflammation in the joints. Mud therapy activates the metabolism, improves the supply of oxygen to tissues. Fabrics deeply warmed up, blood vessels dilate, blood and lymph circulation improves, from the inflammatory focus flushed out toxins, the body is cleared and pain have subsided. 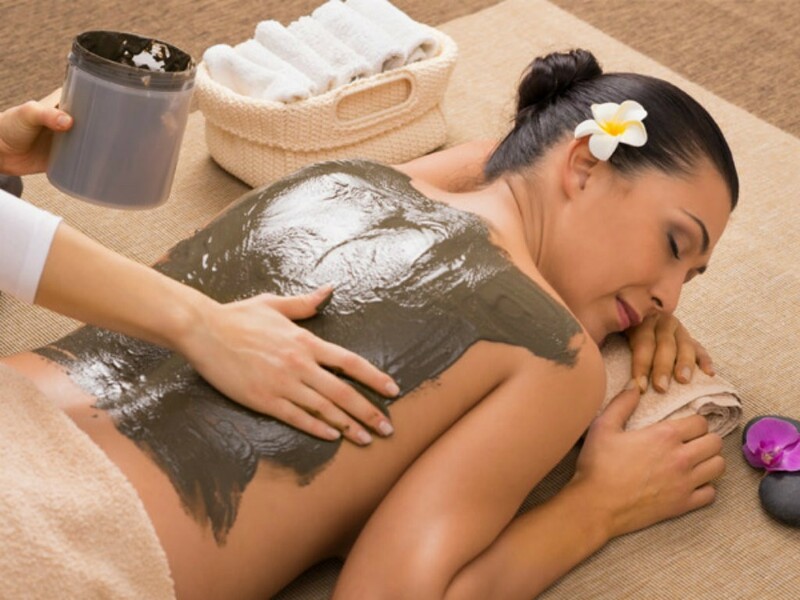 Mud treatment helps with arthritis, arthritis, deforming osteoarthritis, spondylitis and rheumatoid arthritis, as well as effective in the articular form of psoriasis - psoriatic arthritis. Dead Sea Mud has beneficial effects onblood circulation, the nervous system, endocrine glands, metabolism, relieves muscle tension and stress, combats cellulite, strengthens hair roots and eliminates dandruff and seborrhea. Treatment of Dead Sea mud is recommended for various skin diseases such as psoriasis and eczema, and post-traumatic periods. How to properly use therapeutic mud from the Dead Sea in the home? Treatment of joints: The warm mud of the Dead Sea with a thick layer to put on the affected joints, wrap with plastic wrap, then a towel, cover with a blanket. Wash off the dirt after 30 minutes with warm water without soap! After the procedure should rest for 30 minutes in a warm place, covered with a blanket. The course of 8-12 procedures. Spine Treatment: Spread on a massage table or couch, a blanket, put on top of the sheet, and then a thin oil-cloth or plastic wrap. Apply a thin layer of the back-heated mud, dirt remaining in the package lay on the oilcloth. Place the patient back on the oilcloth, wrap a sheet and then a blanket, and cover with another. Wash off the dirt after 25-30 minutes with warm water without soap! After the procedure should rest for at least 30 minutes in a warm place, covered with a blanket. The course of 8-12 procedures. In one procedure be used from 1/2 - to 1 kg of therapeutic muds. The effectiveness of treatment is enhanced when combined with a mud bath salt, so it is recommended to alternate with mud wraps baths with Dead Sea salt. After the first 2-3 procedures may experiencethe so-called "balneological reaction", ie a slight worsening of symptoms - do not worry - this is a normal reaction to the mud. For cosmetic purposes, skin diseases: Preheat mud package in hot water at body temperature. The warm mud (1/2 kg) applied to the body for 20 minutes, rinse with plenty of warm water. Do not use in the presence of open wounds on the body. Avoid contact with eyes. Perform the procedure in a warm room.